Early-bird registration discount ends Wednesday, March 18! Save yourself at least $30 by registering before the end of the day on Wednesday, March 18. You can register online or by mail. I hope to see you there! 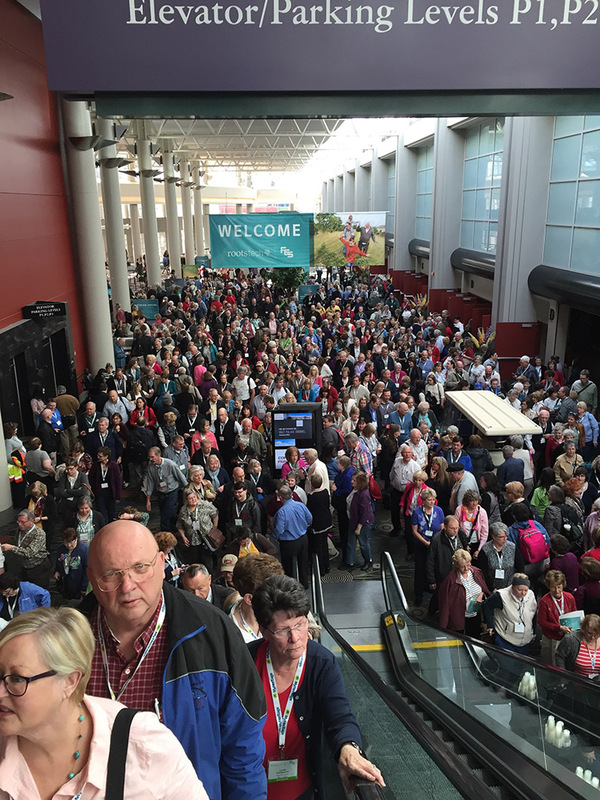 It’s been almost a week since the end of RootsTech and FGS 2015. After suffering through delayed flights, adjusting back to my own time zone, and battling to keep the pipes in the house from freezing solid, I’ve finally had a chance to put some thoughts together. 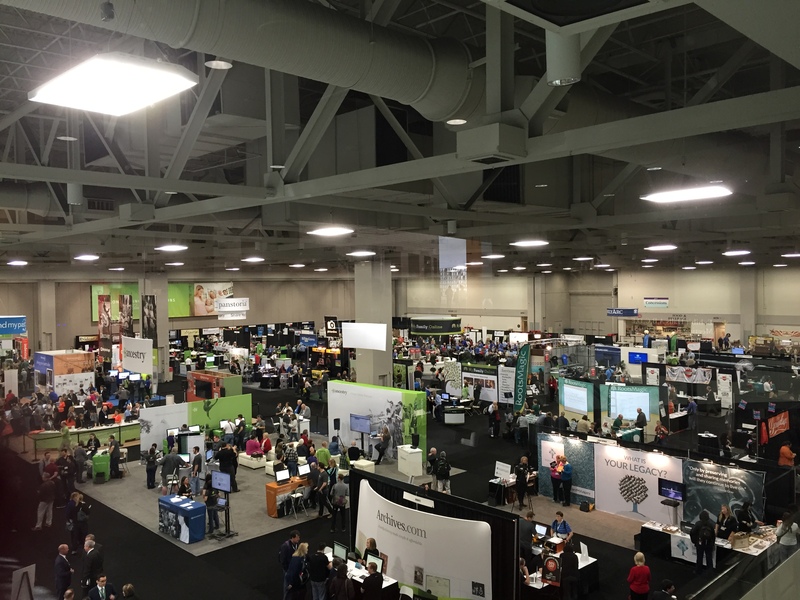 Part of the FGS / RootsTech 2015 Expo Hall. Photo by Amy Crow. The majority of the tech community seems far more interested in the latest rage, “story capturing”, and are busy developing entertaining, social based, game-like, story capturing and sharing apps that memorialize not the past so much as present day family events. They do not see a market for anything supportive of the serious family researcher. This is sad. What’s even sadder is that the core genealogist community is not up in arms over this. 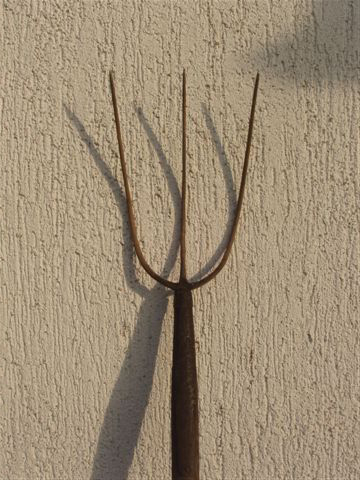 I have a pitchfork, who’s with me? First, a bit of background. I’ve been “doing” genealogy for a LONG time. I’ve been a Certified Genealogist since 1995. You might call me a “serious” researcher — and you’d be right. I do take my research seriously. But I didn’t start this way. It started with my grandma’s stories. It evolved as I learned more and wanted to make more discoveries — to learn more about my ancestors than what Grandma knew. There’s room for a lot of players and a lot of viewpoints in the genealogy world. The finalists in the Innovator Summit included a company that is working on reading handwriting to index old records. There was also a company that wants to match people with research problems with the genealogists who can help solve them. The exhibit hall was filled with the “big guys” in the genealogy world, right along with “mom and pop” operations with hand-lettered signs. There were high-tech things and there were decidedly low-tech things. There were even things that didn’t specifically relate to genealogy. (I’ll admit right here that I had a serious case of lens envy every time I passed the Nikon booth.) People were visiting all of them. Not only is there space for everyone, I have a selfish reason for being more than ok with those who focus on stories. I got my start with the family stories and it sparked a passion in me. That passion grew and I learned more and more and have made some wonderful discoveries about my family. I’ve had opportunities to learn from others who have had the same experience. I want more people to get that spark, to feel that sense of wonder and curiosity. Why? Not only because it will make our community stronger, but because perhaps one of them will be a cousin and will want to share those stories with me. 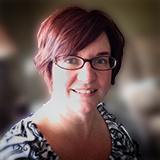 Posted in Events, Musings on February 17, 2015 by Amy Johnson Crow. Organizers of genealogy conferences will mislead you. Why they do this, I don’t know. They’ll tell you that the best reasons to come to their event are the education and the networking. Don’t let them fool you. The best reason to go is that it is the best group therapy a genealogist can get. I just got back from the Federation of Genealogical Societies / RootsTech conferences. It was big. It was crowded. It was noisy. At times, it was insane. And I wouldn’t have missed it. But a genealogy conference is so much more than the knowledge that you gain. There were the random exchanges with those around me as we waiting for sessions to start — or waiting in line for the ladies’ room. (Believe me, we often had plenty of time to talk then!) It was a mix of sharing ideas for research, feeling joy for someone’s latest discovery, and feeling inspired to continue your own journey. That’s what I think is the greatest benefit of attending a genealogy event in person — it’s the interaction with those who understand us. We can talk about our research and not have the other person’s eyes glaze over. We can do the Genealogy Happy Dance and not have weird looks thrown our way. We can come away feeling inspired… Inspired not only with ideas for furthering our research, but also inspired that what we do is important. Don’t get me wrong. I enjoy webinars. I love a good blog post. 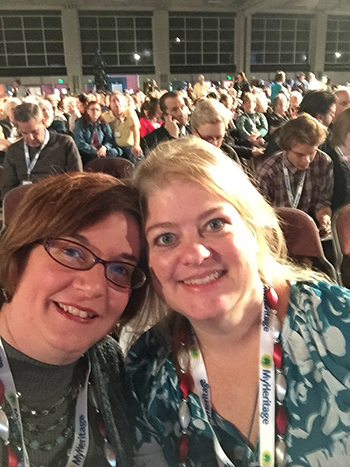 But with every conference I go to — whether it is a HUGE conference like RootsTech, or a smaller event like the Ohio Genealogical Society or the Indiana Genealogical Society annual conference — I walk away renewed. Tired, but renewed. Attending a genealogy conference is one of the best group therapies out there.